Home Romance Novels Ferrets In Fantasy Man! When I revised Fantasy Man yet again using my editor’s suggestions I added two ferrets. (My editor, Noah Chinn, suggested revisions but he did not suggest adding ferrets.) The ferrets belong to the villain, Vinnie “The Nose” Pellegrino. I can’t tell you where I got this idea, only that I’ve been given to understand that no villain should be all bad. He has to have some redeeming qualities or something he cares about. 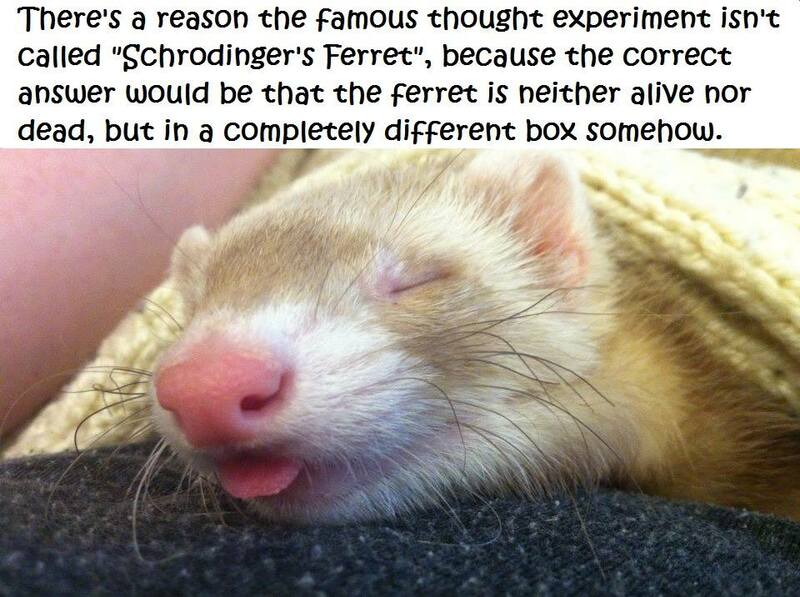 Why a ferret(s)? 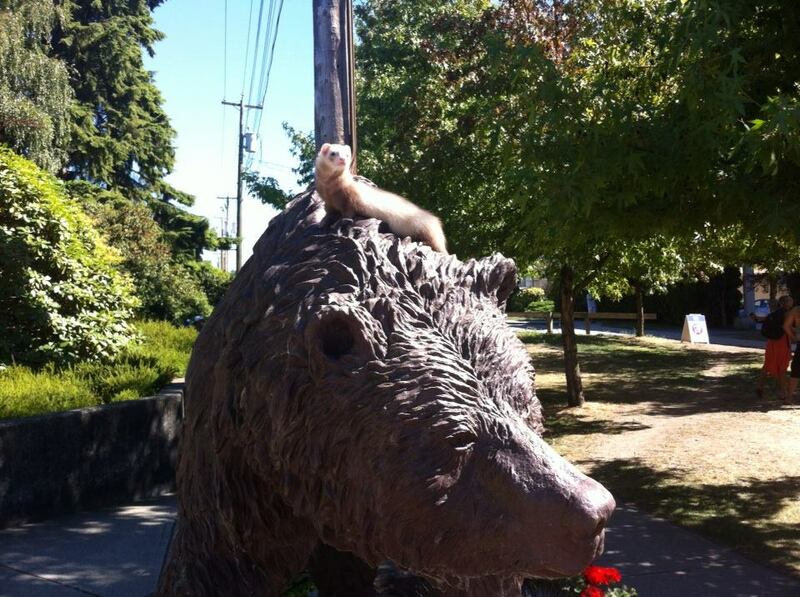 Ferrets are like kittens that never grow up, or grow out of that playful “explore everything” phase. They are sociable like puppies but for maintenance are more or less on par with cats. They are very quiet as well. A good pet for someone who doesn’t want something high maintenance like a dog, and more sociable than a cat. Funny or touching story? Early on when we first got Dora we’d thought we’d lost her, but had no idea how. Our apartment is closed off and she couldn’t have escaped. We eventually lured her out using a squeaker and she was covered in dust. It turned out she’d found a hole in the wall where the heater pipe enters the room and had worked her way in between the walls. We quickly sealed that hole after that. Best thing about having a ferret? The same as most other intelligent pets – you learn to connect with them and think like they do in a way, so you relate to them. You know when they’re happy and playful, curious, bored, or just tired. That bond makes any bad day better. 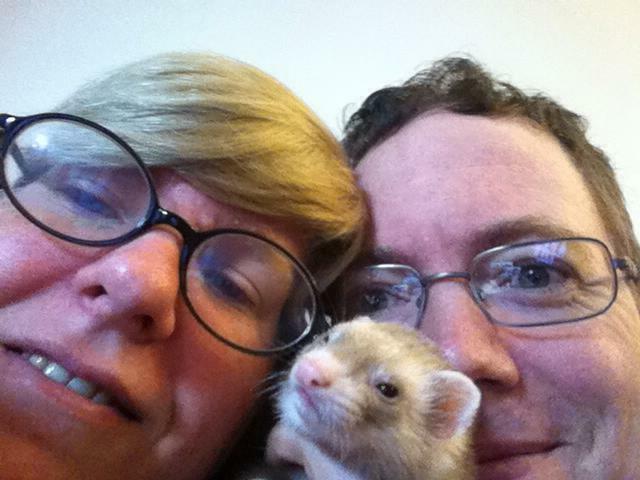 Noah’s ferret is named Adora Bella Dearheart (Dora), in reference to a Terry Pratchett character (though a slightly different name). Noah lives in Vancouver, Canada and in addition to being an editor, he is also a writer, and gamer. Plus he’s biked across Canada, Japan and Northern Europe. Fantasy Man was more of a collaboration than my previous two books which Noah edited and I give him a lot of credit for the final product which is a cross between romantic comedy and light suspense. I also give a lot of credit for the comedic aspect to the ferrets, who are unwittingly kidnapped by the hero and heroine.